Some images that didn't make it into the book. 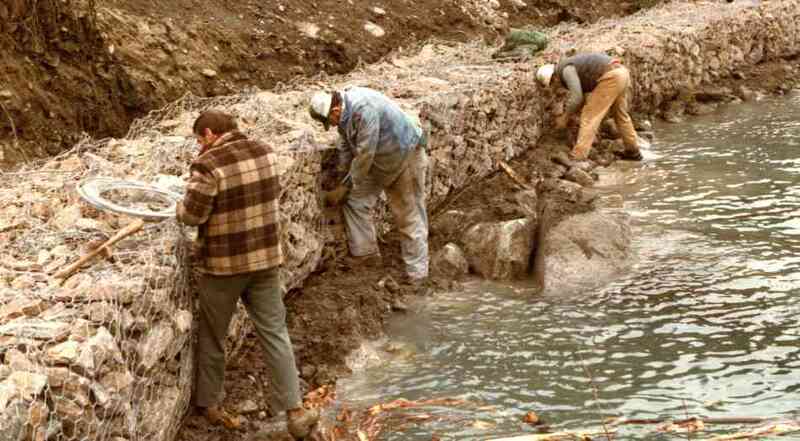 Heinz Stehling, Jim White & Bruce Beardsley wiring gabion retaining wall at south switch Marne Siding, Anderson Lake. 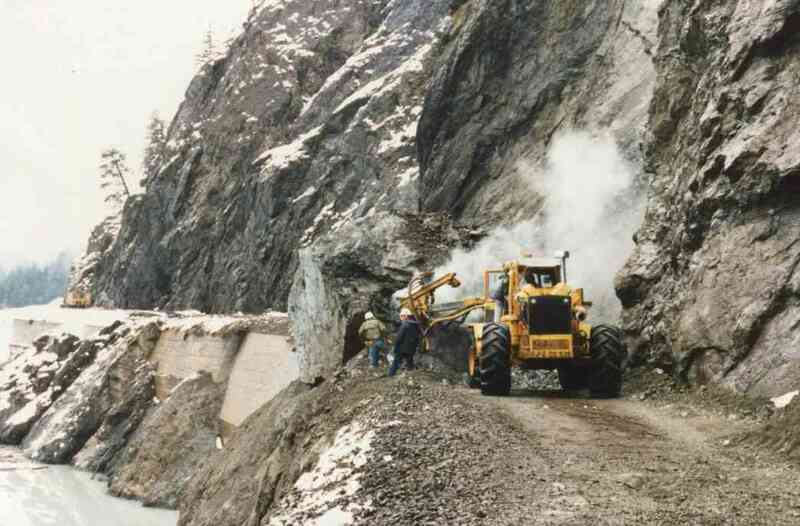 Roc Jac One drilling off a nugget on the first day of the slide at Mile 140. 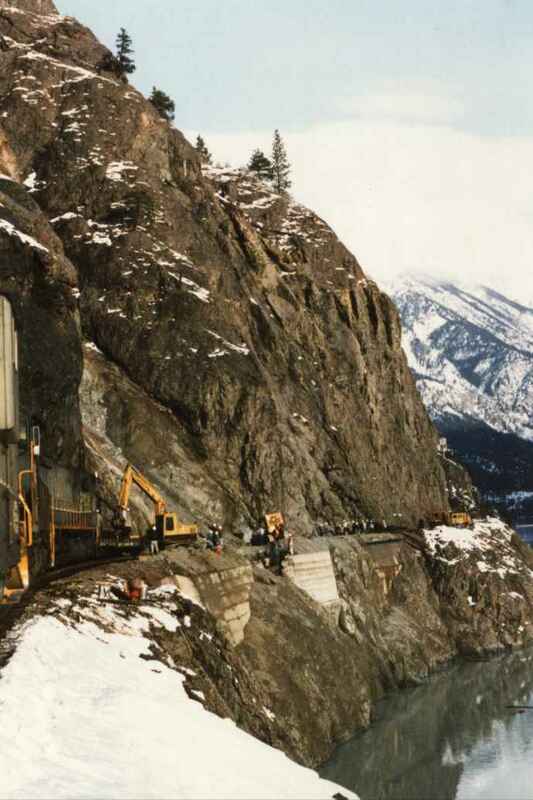 Work train, Motrex, and gangs (Rock, B&B, 3 Section) working to rebuild grade at slide Mile 140. The rotten cliff rises to 600 feet above the track. 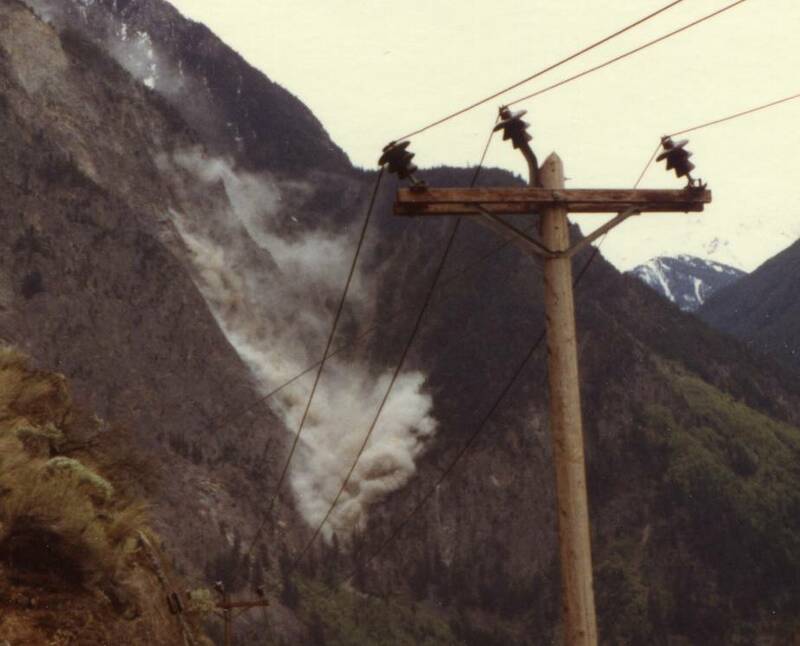 A rock slide coming down a mountain across the lake at Seton Salvage. 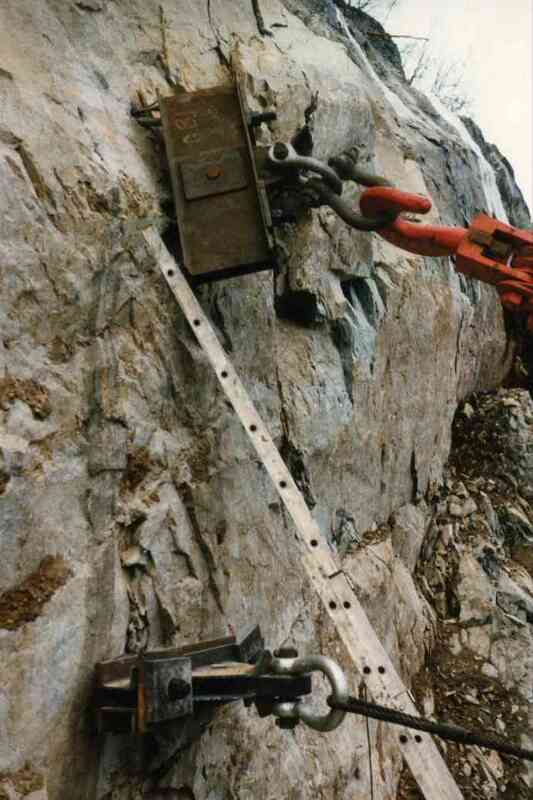 One of the sets of anchors the Rock Gang installed for Cheakamus Salvage. Tail end of a southbound coal train at Tumbler Ridge. 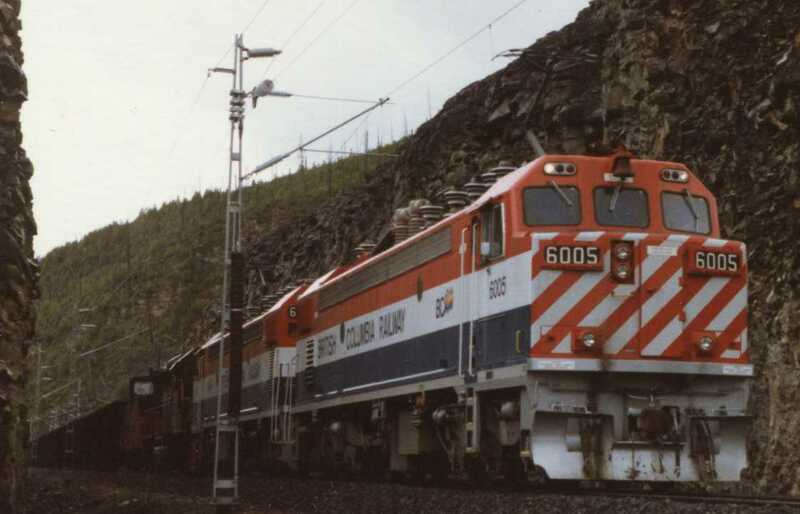 The electric units are being used as pushers (note caboose & diesel unit beyond).